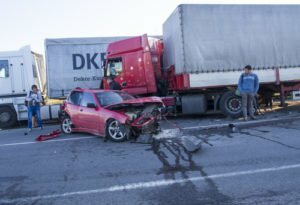 Accident attorneys are a good way to get settlement/compensation if you or your loved one(s) get involved in an auto accident that affected yours or their lives. This compensation is for the pains, scars and maybe trauma that follows after the accident. In order for your rights not to be tampered with, you need to promptly hire an experienced accident lawyer. If the unfortunate accident happens in Pasadena, CA, then you need not go far in search of a reliable accident attorney. Rawa Law Group is a 5-star legal agency that can successfully handle your accident claims. We have more than 55 years of legal experience in this business. We have a team of highly qualified and cooperative auto accident attorneys who will ensure that you get maximum accident claims settlement.We offer a free consultation and no upfront payments – until your case has been won! We are credible because we have with the help of our experienced attorneys, handled several auto accidents cases that have seen our clients being paid their full compensation. We make appointments flexible and can meet you at your home or in the hospital if necessary and we also keep you informed about your case from the start to finish ensuring that you have the full legal representation you need. At Rawa Law Group, we take advocacy for the injured serious and we work relentlessly to achieve success. If you want to hire an experienced auto accident attorney in Pasadena, CA, do not hesitate to reach Rawa Law Group with the following address.